Volumes have been written about the origins of this song, which has become popular world-wide. 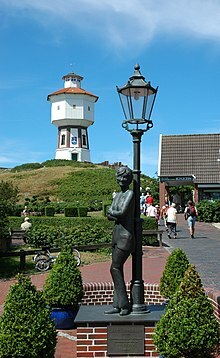 It began in 1915 as a German poem, whose English title was "Girl Beneath the Lantern". It was a love story about a young soldier and his sweetheart. Two years later the words were set to music and eventually renamed "Lili Marlene". During WWI the song became popular with German troops, who sang it in the trenches. Soon the British, American and French soldiers also adopted the song, using English and French lyrics. Ironic as it may seem, the love song caused "Lili" to become the symbol of all the wives and sweethearts awaiting the return of their loved ones, many of whom lost their lives daily. Today, the song is known and remembered all over the world. This tune is arranged in the key of A in order to allow more choice of chord accompaniment. This includes the use of colorful chords like E7 and E9. By using a capo on fret #1, we can play these easily with no big finger-stretches.